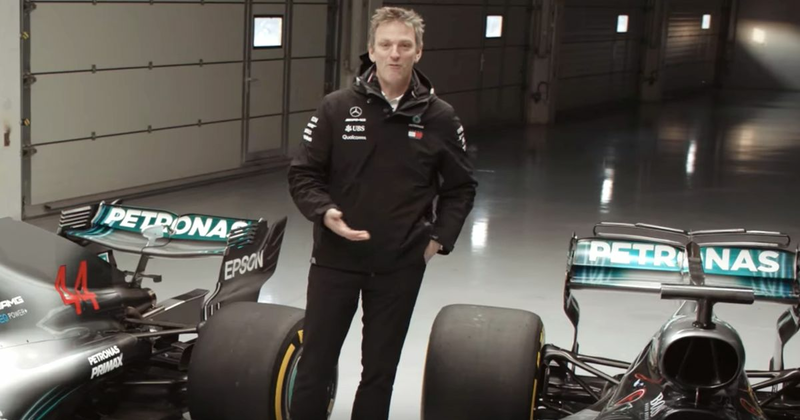 There have been a few changes to the 2018 cars from last year and Mercedes technical director James Allison has compared this year’s W09 to the title-winning W07 from 2017. As well as mentioning improvements, such as the narrow sidepod design, Allison also talks about the removal of the shark fin, the addition of the Halo safety device, and also the cumulative effort made by the design team in parts. The message seems to be that smaller detail changes are numerous, and it is the net gain of these details, rather than any one drastic change, that will make the Mercedes W09 a strong contender for the title.